The unofficial end of summer is upon us. That calls for ice cream. 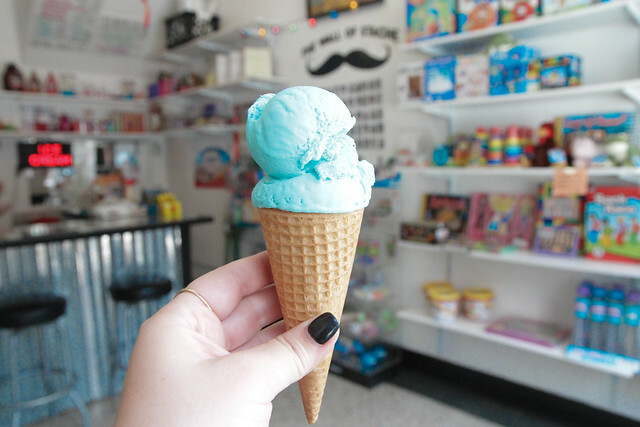 The Stache in Fayetteville is a brightly colored ice cream shop and toy store that serves up tons of fun flavors, but their most popular is Blue Moon. When I asked, like the beer? They said nooo, it's just "blue" flavored. K.
But, it's true. It tastes like artificial "blue." It's not my favorite flavor, and considering it's the most popular, I'm a bit interested to see what else they have. 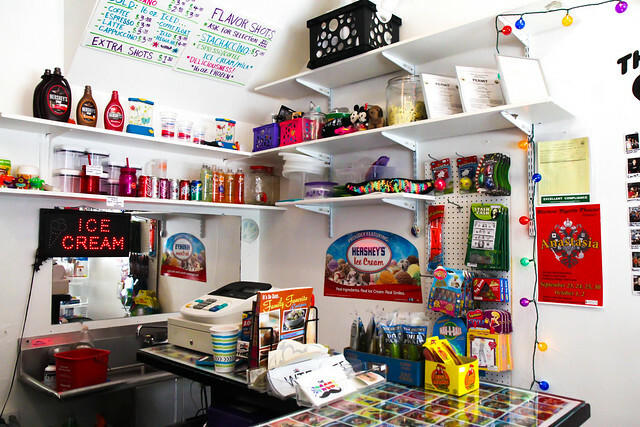 It is a bit reminiscent of childhood, though, and the brightly colored throwback toys lining the walls only add to that memory. 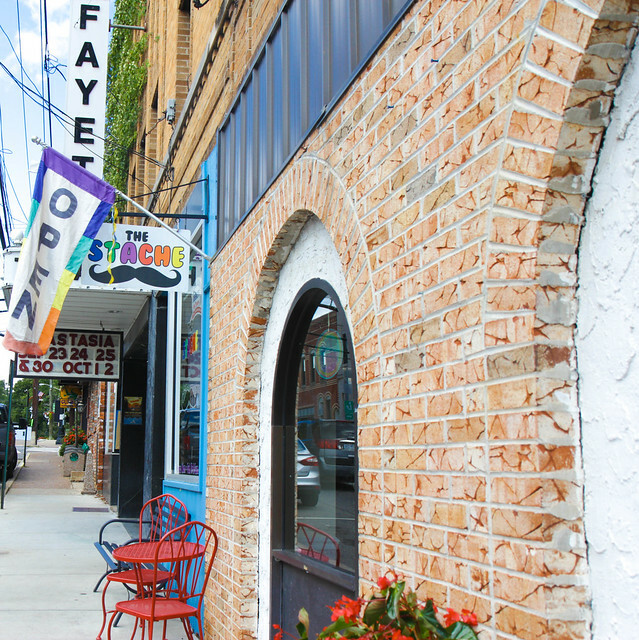 If you're looking for a bit of a walk down memory lane - with a cool treat at the end - this place is calling your name.